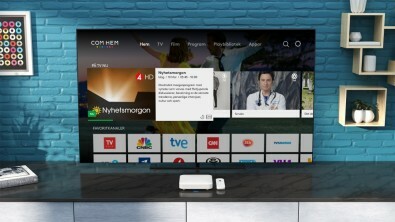 Com Hem of Sweden is one of the first operators to deploy Android TV Operator tier with a full range of features. It has been three years since the launch of Android TV and seven years on from the original unveiling of its predecessor Google TV. Today, pay TV operators are finally adopting Google’s Android TV on a large scale and one casualty could be Comcast’s RDK (Reference Design Kit) platform introduced around 2012. The RDK had a similar goal to accelerate deployment of next-generation video combining broadcast and broadband services through pre-integrated, open-source software to drive customer-premises equipment (CPE) including set top boxes (STBs). The phrase “network routing” is liberally used on broadcast forums. However, what exactly does it mean to route an IP datagram? Moreover, why is it important for television and radio facilities? Traditionally, SDI, MADI and AES are the common forms of signal distribution. A combination of X-Y routing matrices and patch cords are used to distribute signals around a facility. One-to-one connectivity is required to maximize transfer of power between source and destination through impedance matching. This sometimes requires racks of distribution amplifiers and X-Y routing switchers.